On Oct. 3, 2017, a workshop on Streaming Media for Field of Light Displays (SMFoLD) was held at the Rockwell Collins facility in Sterling, Virginia. About 100 people attended to discuss the latest developments in the light field ecosystem – from content creation, through distribution to the display. A particular emphasis for the workshop was a discussion of the various commercial, government and standards effort to develop methods to deliver light field display information over networks. The full presentations from the workshop and the 26-page summary written by Insight Media are now available for free. To access, please register at the link below. A follow-up email will be send with the link to download the presentations and summary files. 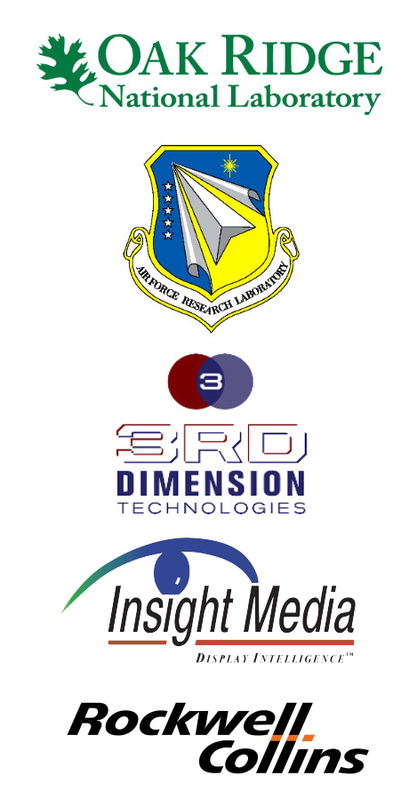 The workshop was supported by a Phase II SBIR awarded to Third Dimension Technologies and Oak Ridge National Laboratories with funding from the Air Force Research Lab.